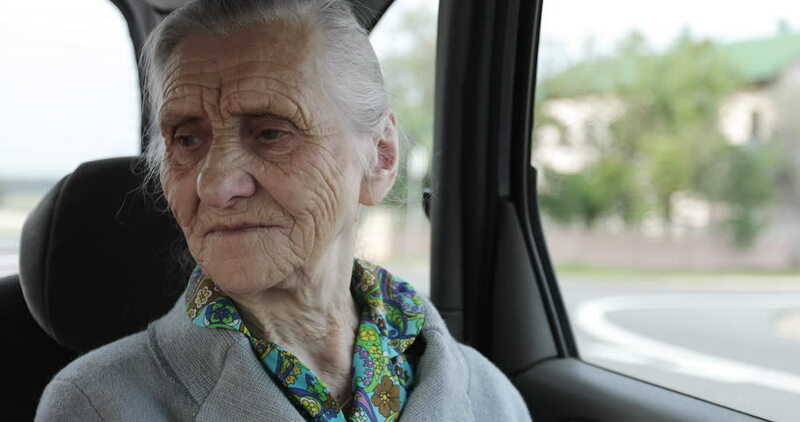 An old woman with deep wrinkles and gray hair rides in the back seat of the car. The grandmother goes in the car and looks out the window. 4k00:29Senior woman looks through the window in a train. 4k00:32A senior woman and a young womand are at a picnic table and are making coffee using a french press. Handheld shot.